Our Internet is showing "on" at the modem, and my tablet is working fine. Neither computer (also WiFi, Windows) is working as expected. Some sites will load (like InsideLakeside) and others, like Google search, Google News and Daily Kos, will not. This seems to happen on weekends. Is it high traffic? Or ???? Who is your internet provider? During these slow times what type of speeds show when doing a speed test? Ping? etc? Yes, that's what I want to know too! Thanks Pete. I have the same issues here in SAT, sometimes so slow I can't even load Ookla. If I can, the down is something like 2. My best is 4 or 5. Is your wi-fi protected with a shared key? If not, someone could be piggy-backing on your signal and gobbling your bandwidth. Also, this could be a DNS issue; try changing your DNS servers to 8.8.8.8 and 8.8.4.4 (these are Googles servers and they rarely have issues.) ...and, of course, try rebooting your modem. Buena suerte. 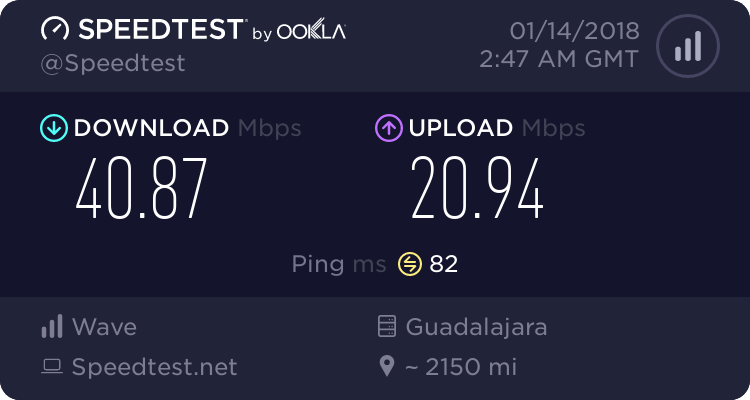 According to the computer at the Ajijic Telmex office my Telmex modem in my house is 1070 meters from where it is connected to the internet (DLSM card). That is the approximate distance of the wires between my home and the Ajijic Telmex office. The street was rewired a few years back so I have good quality wiring between my house and the Telmex office. They say I could get a faster speed but that the fastest they dare give me is up to 10 mb/sec down and that's what I get. About 10 megabits/sec down by 1/2 or 0.5megabits/sec up. My ping is usually quite low, less than 30 ms.
Now it is almost always the same, hardly ever slowing down. It almost never fails. Why do I have such good luck? I live close to the internet connection and the wiring is new. Trailrunner also asked if my computers are WiFi. Yes they all have that capacity and if I choose hooking up via cable and turning off the WiFi. 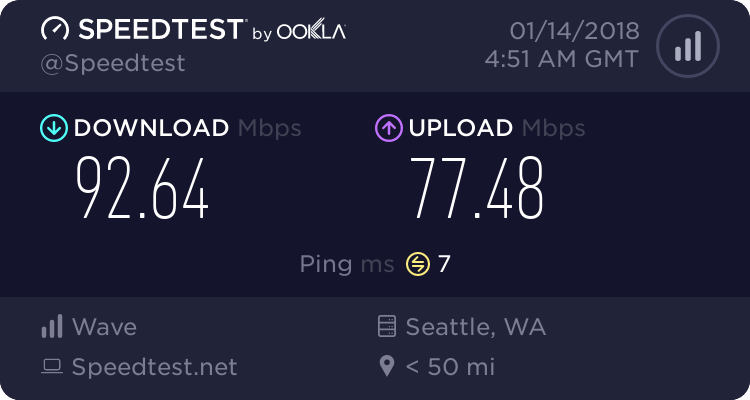 My speeds will increase very slightly, so slightly that I don't bother running a cable from one side of the room to the other where my desktop is. Pete, I was asking Flamingo, the OP! The one with the problem! Flamingo, are your computers on wifi?? I have Telmex. I don't know what I get when the speeds are slow but I pay for 10 mbps and get 9.6 normally. I haven't tried speed test on my tablet but it seems to run normally. When we lived in Brisas we got 1.2 if we were lucky and always paused a YouTube for a buffer. Don't do that anymore. Sometimes when things appear to be slow, the problem is not your speed, but problems somewhere at the other end. Therefore the next time you think things are acting slowly, do a speed test to determine whether the problem is at you end or somewhere else. » Shaw Direct "Home Away From Home" program. » Good easy to install router for Telecable internet? » Internet Speed in Upper Chula Vista?